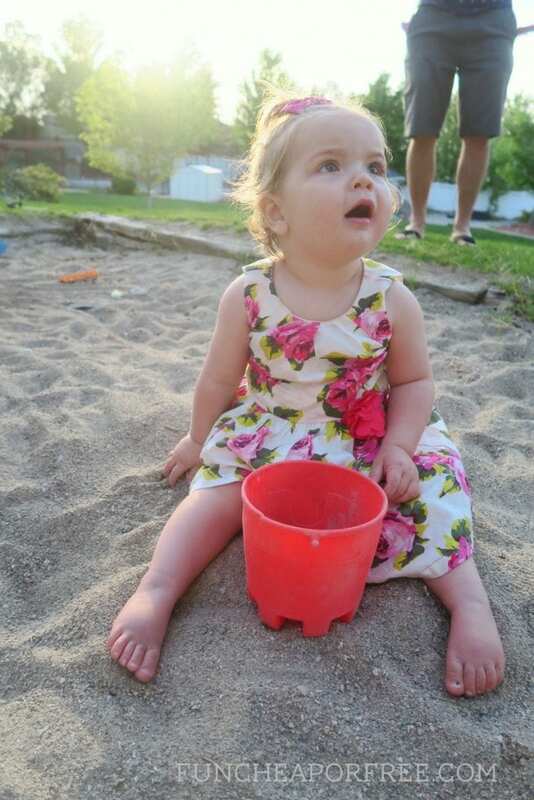 Can you believe Little Miss Mory June is ONE already?? 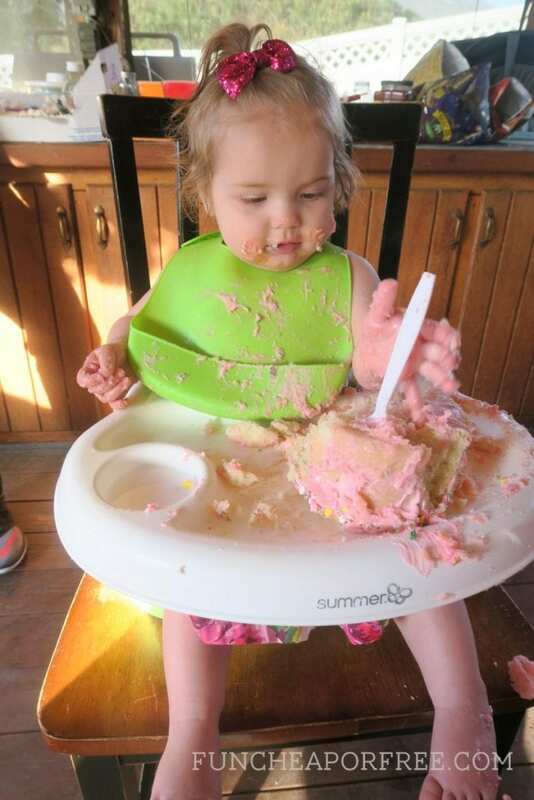 And most importantly, can you believe she turned one in MAY and it's taken me this long to document it? #MomFail. Either way, it seems like she was just born yesterday! Thanks again to Betheny from Cake Happens for the amazing cakes! Seriously so generous of her. 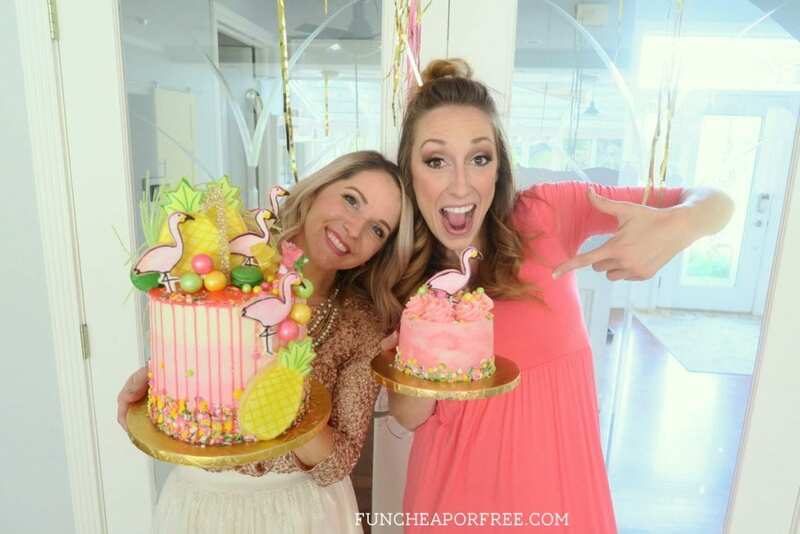 See how she made the awesome cakes HERE. Clearly, Mory loved it. For dinner we just did the typical hamburger and hotdog BBQ spread, since we had most of the food at home anyway from all the entertaining we do. As mentioned in the video, the bounce house I got for a good deal on Groupon, and used this party as an excuse to use it before it expired. Betheny gave me the leftover balloons from her daughter's birthday party, which really took it over the top! The flamingo piñata was $10 from Zurchers…and I mean, have you ever seen anything so cute?? The candy we just so happened to have leftover from Beck's piñata candy bag from his party in February. 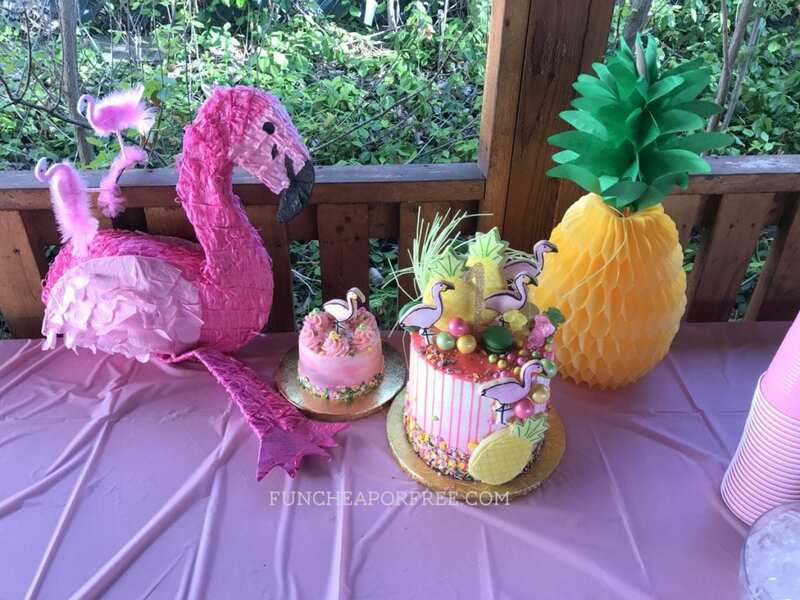 The pineapple decor was also from Zurchers, and was less than $20 for everything. 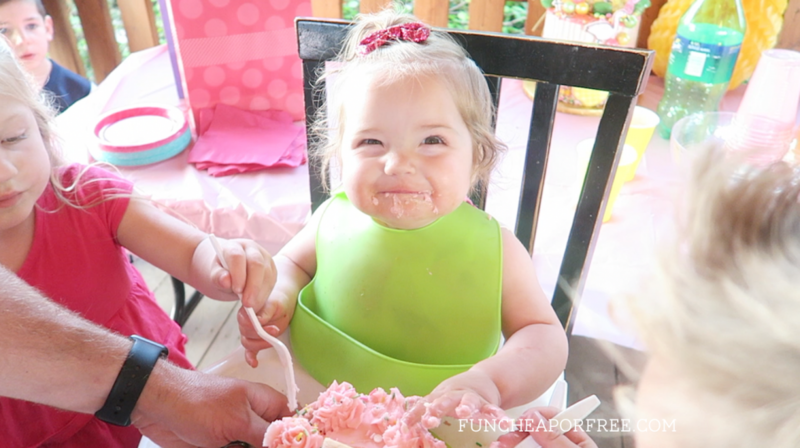 It ended up being the cutest party, and was so easygoing and laid back! 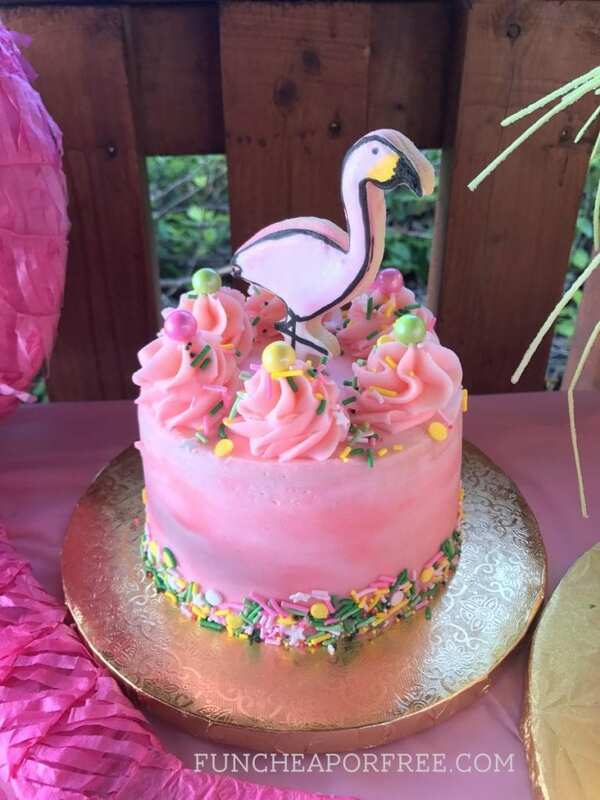 It was probably my favorite party so far…mostly because of the no-fuss-ness of it all, but heck, anything with pink flamingoes is icing on the cake for me (pun totally intended). Now, on to plan Priya's birthday party for next week…stay tuned! Cute little Mory looking like my daughter, I get exited while seeing her snaps. I love these ideas. 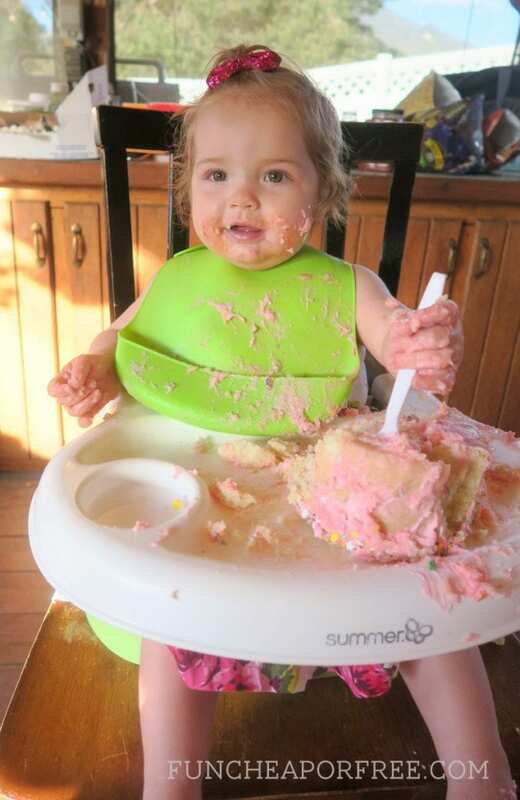 I have a 2 year old birthday party to plan for. I love all the flamingoes!! 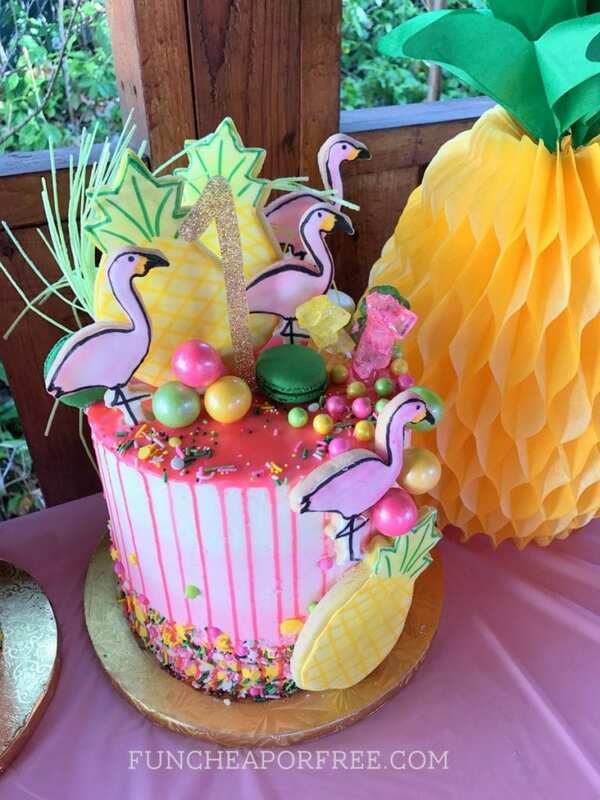 I love, love, love the flamingo theme! Those cakes are to die for!! So fun!! This is so cute! You throw the best parties! I love the theme! I literally almost did the same one for my youngests 1st.